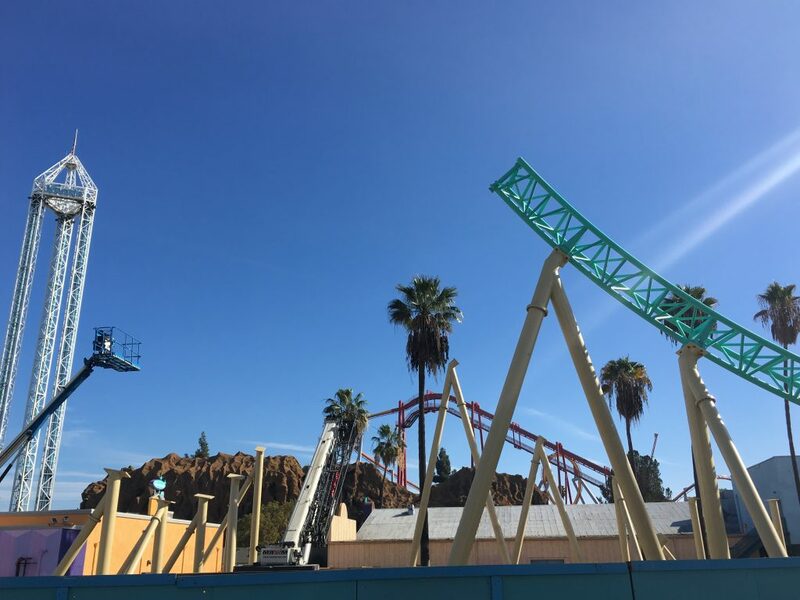 Sean: With construction moving this incredibly fast, it is time for yet another HangTime Update! 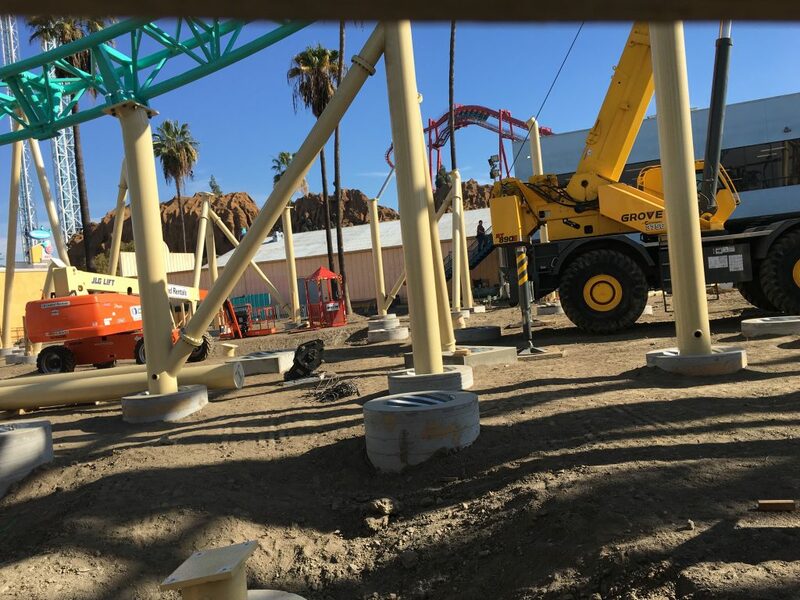 We’re also at the park for Knott’s Merry Farm today, but figured that some daylight HangTime pictures made for a great update while we cover Merry Farm in depth! 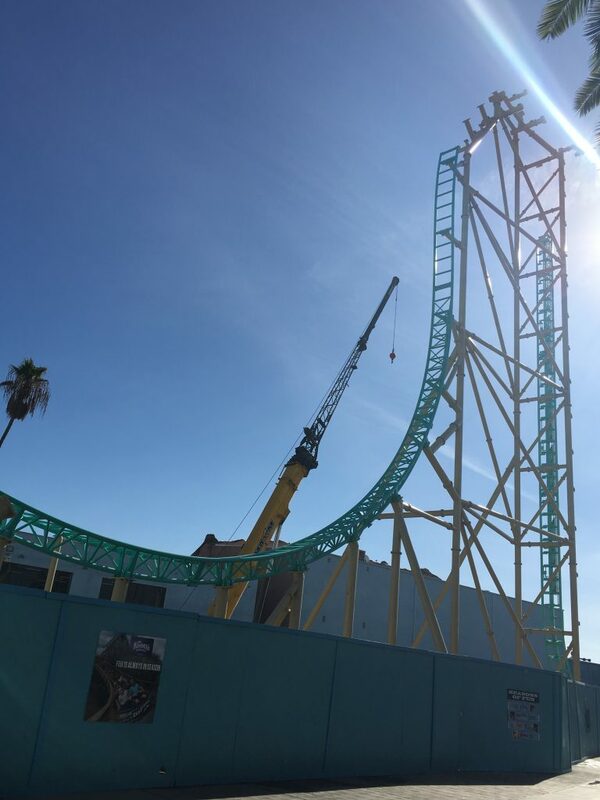 In today’s HangTime update we find the lift-hill near complete, as well as the drop! In addition to which there are other small changes that indicate new track being placed soon. Let’s “dive” right in, shall we? 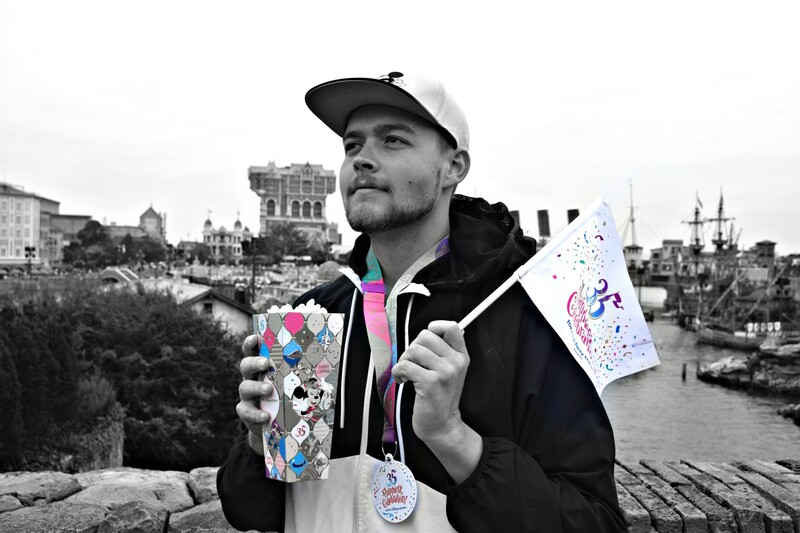 First up… look how beautiful this new ride is! 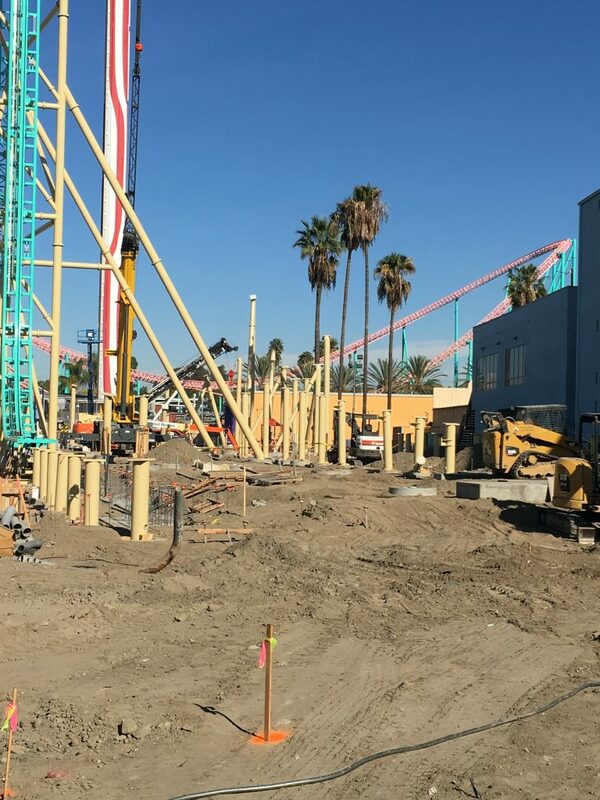 Knott’s Berry Farm has a winner on their hands for sure, and it surely looks like a lot has changed since our last update… 3 days ago! The support-party continues as the plot of land housing the ride is now filled with supports. 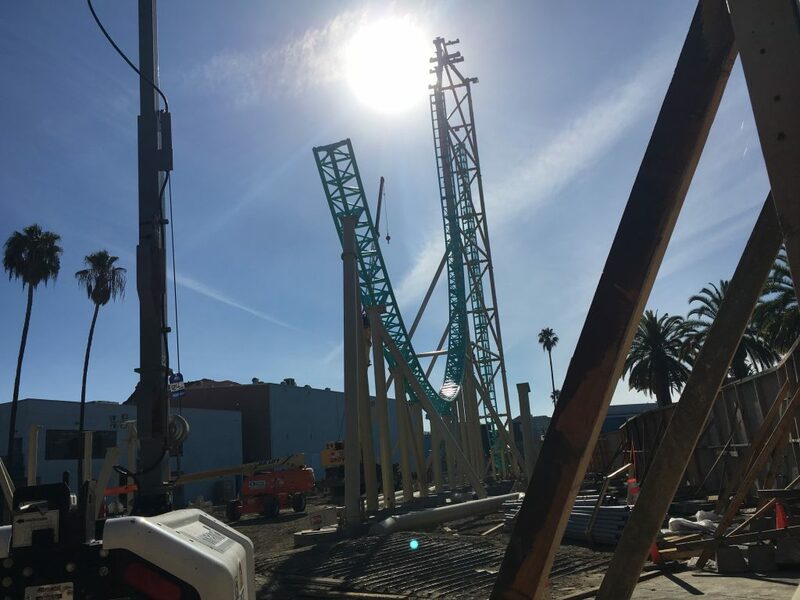 Surprisingly though, no supports for the Horseshoe and Double-Down have been placed yet, merely a few footers, which are to be seen in the image below. The supports next to the employee break-room and the backside of the Calico Mine Ride are the supports for the brake-run. Note that they have support connectors for the catwalks! Not only did the majority of the lift-hill track go up, but also the majority of the track is up. 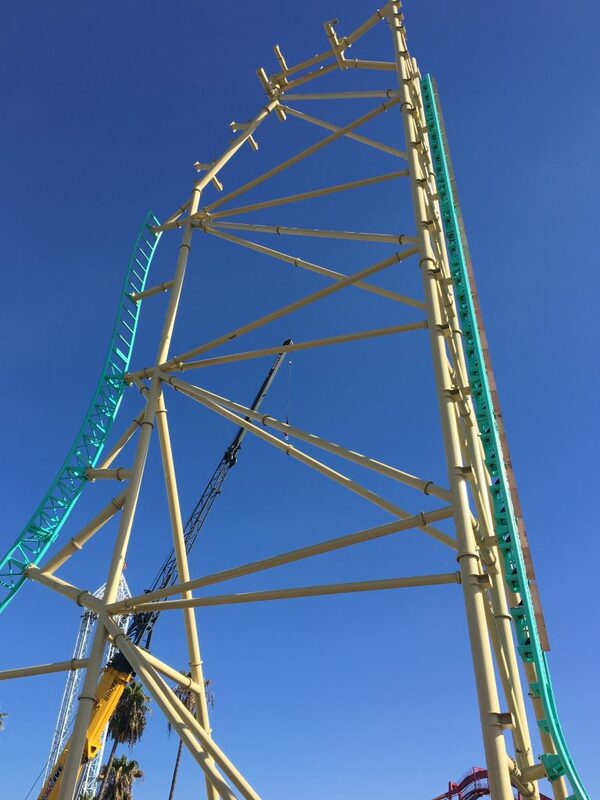 Meaning that all there is left to place is the top of the lift and the holding brake before the drop! Note the magnetic brakes on the vertical lift. It is used as a type of anti-rollback device that will slowly lower the train to the block on the bottom of the lift in case the it detaches from the chain or stalls on the lift. Now this ride is coming together it truly shows how massive and impressive it is as you stand right under the drop. 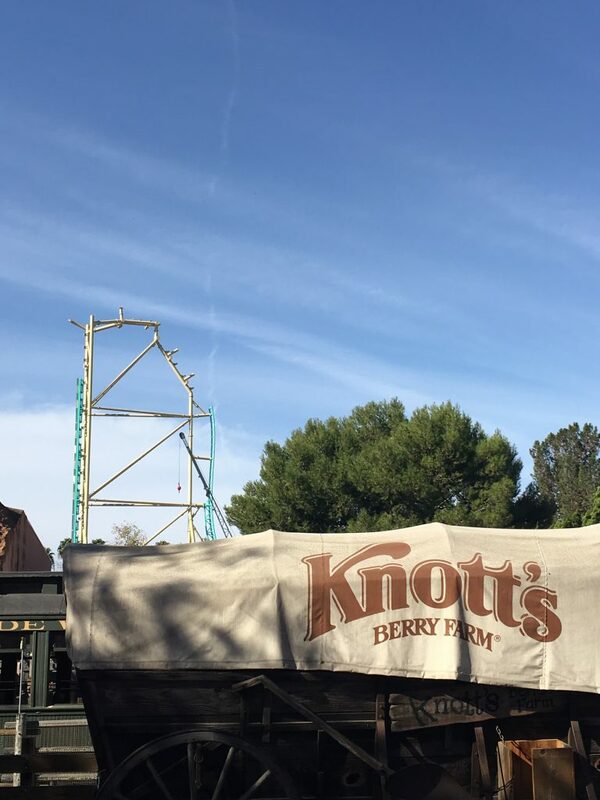 We apologize for the sun-flares here and there, it isn’t always that the sun is out in Buena Park during the morning hours! 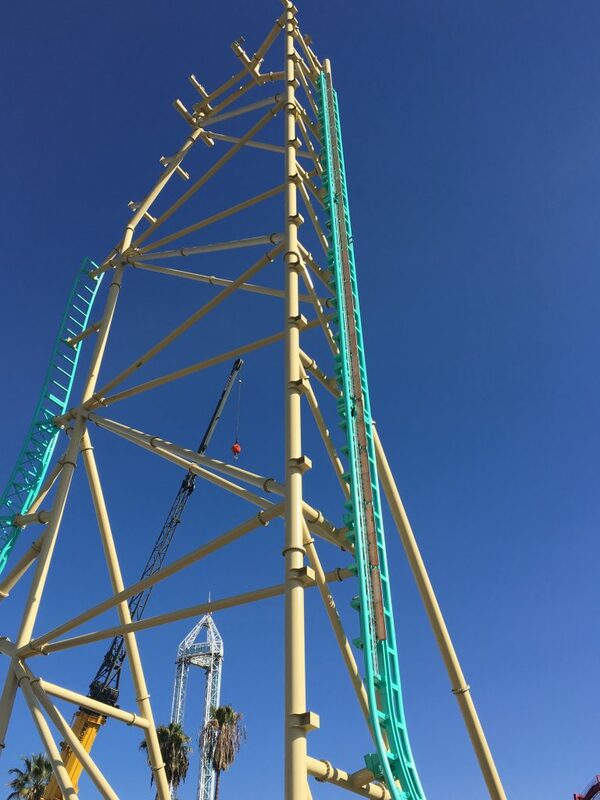 We’ve seen quite some people on our Social Media channels discuss that the drop is not all that steep compared to Eurofighter coasters. 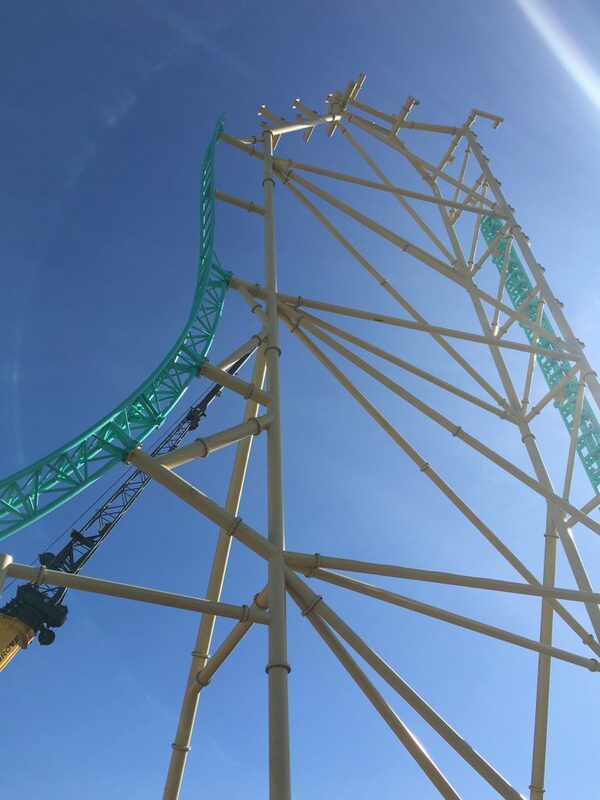 But you have to realize that this coaster features 4 car trains with a holding break, much like the B&M Dive Coasters this first drop will be phenomenal. More supports and a whole lot of machinery. We can’t believe this project is moving this quickly! We’re having a fun time covering the construction! 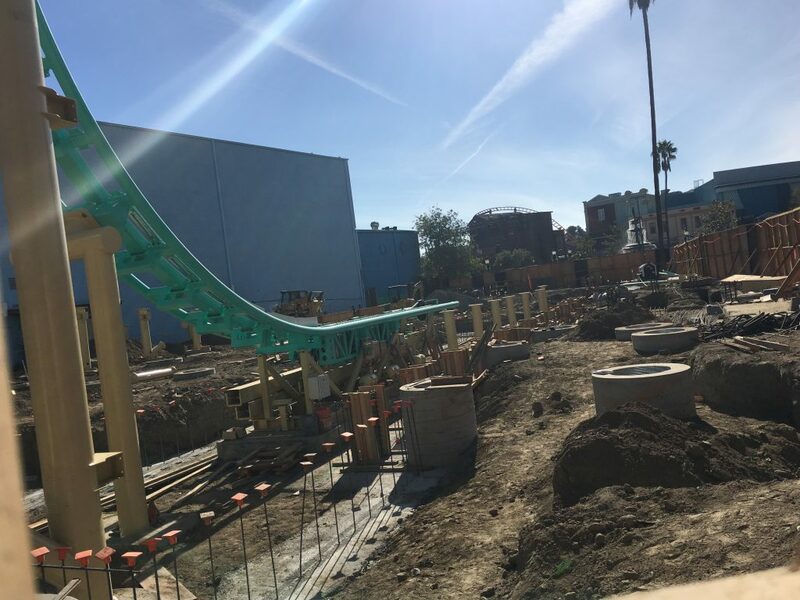 More track has been added to the start of the large pretzel-knot looking element, the next pieces of track on this element will show off the sharp 90 degree right turn it will make for it’s top-hat like maneuver. 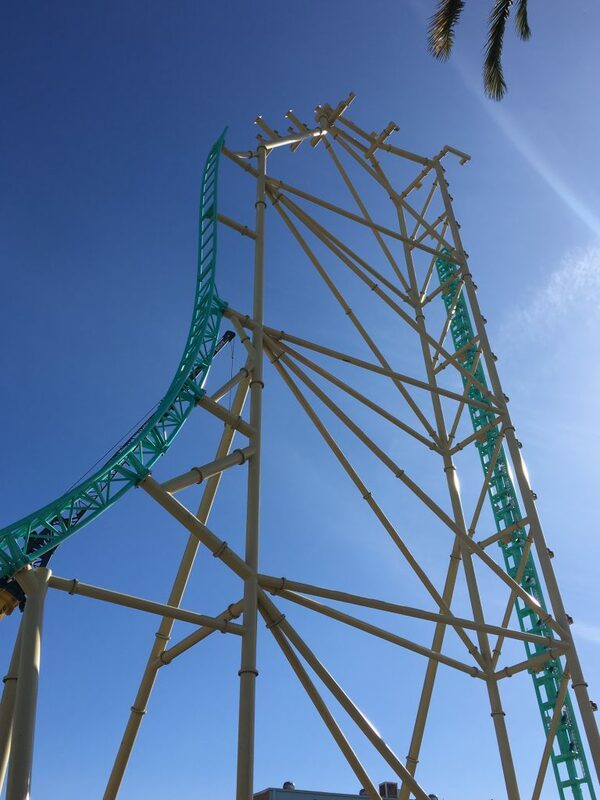 Also notice the taller supports on either side of the track, these will support the pretzel-knot maneuver, right as the train rolls out of the first inversion. Here’s a quick look at the nearly-completed drop and lift-hill in one shot! 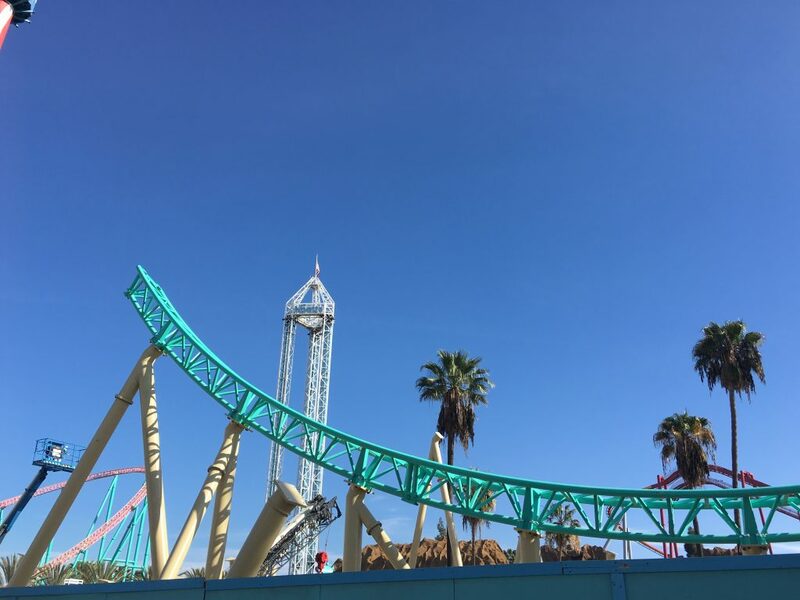 The first drop is quite elevated from the ground below, as the Cobra Roll will dip about 5 feet below that. When standing on the Boardwalk midway it becomes noticeable how elevated the bottom is. 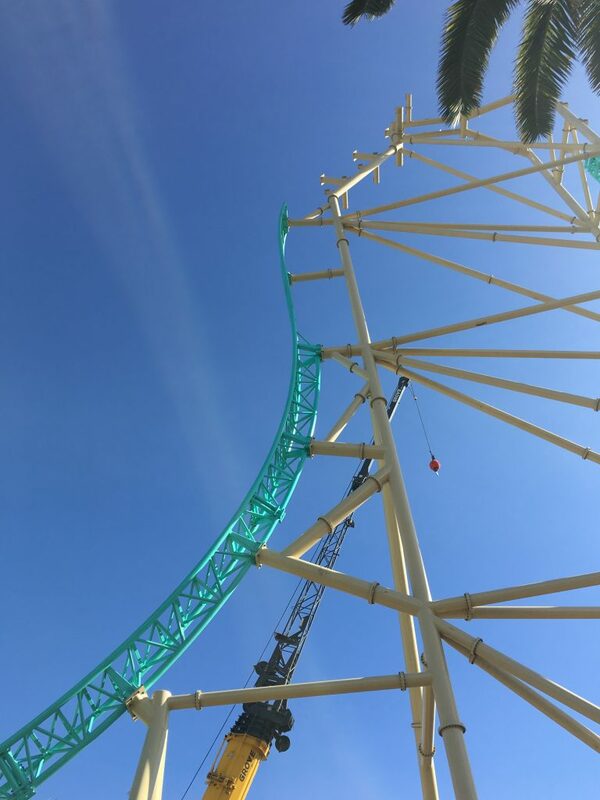 Below see the supports for the bottom of the top hat/pretzel-knot element, right before the coaster rushes into its first inversion. 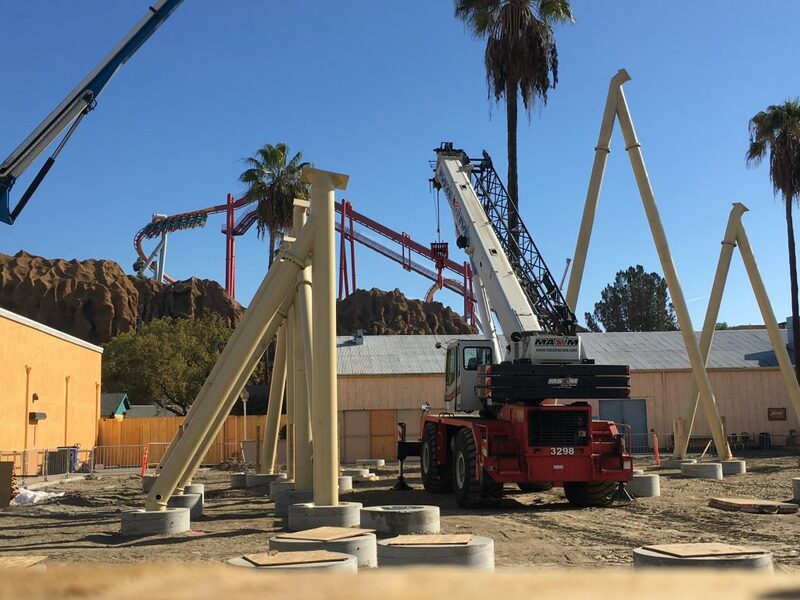 Here’s a closer look at these supports as well as the supports for the track coming out of that element, which stand tall to the right. 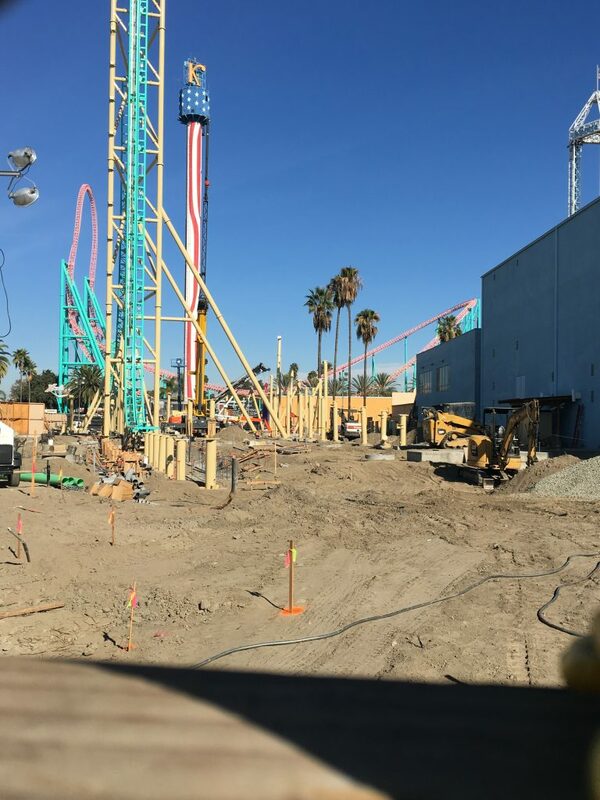 The work site is very busy, and it’s clear that only a few more supports have to go up before we see the entire next element getting installed! 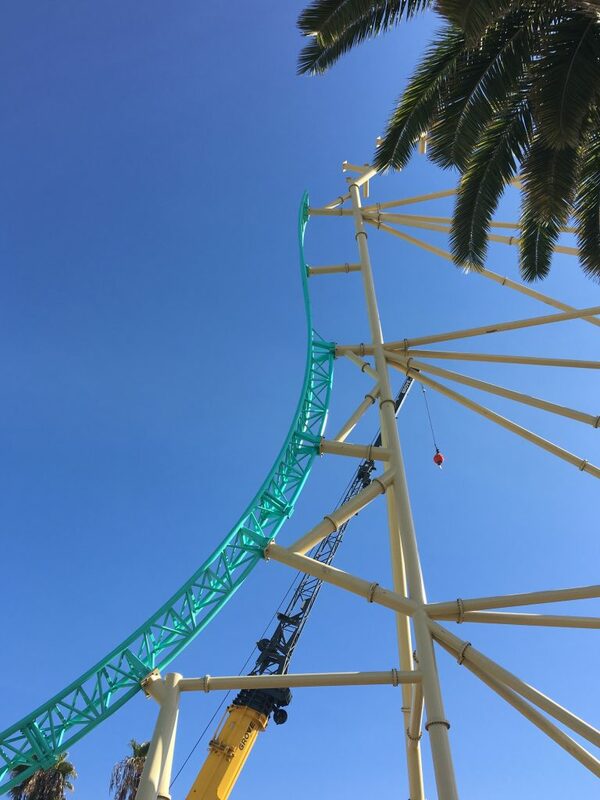 Let’s wrap up this HangTime Update with a lovely look at that first drop. 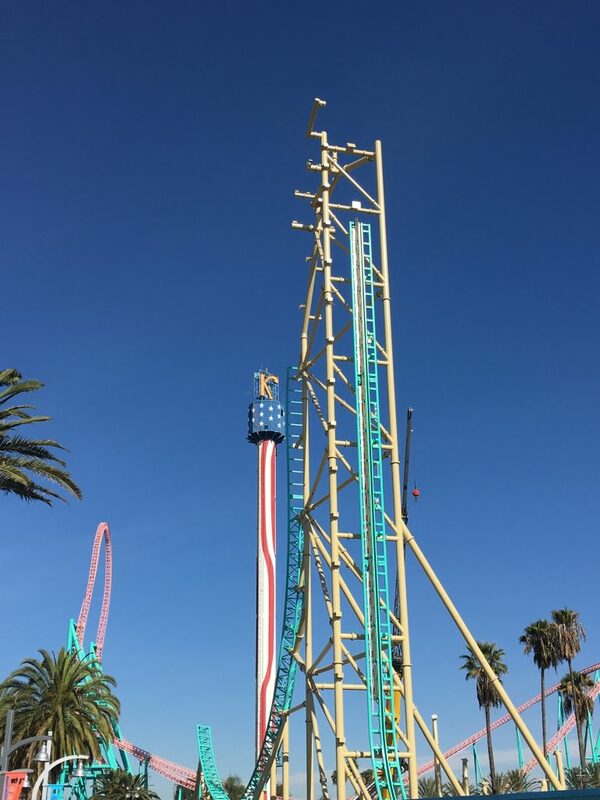 We’re stoked to ride Knott’s newest thrill coaster in 14 years! 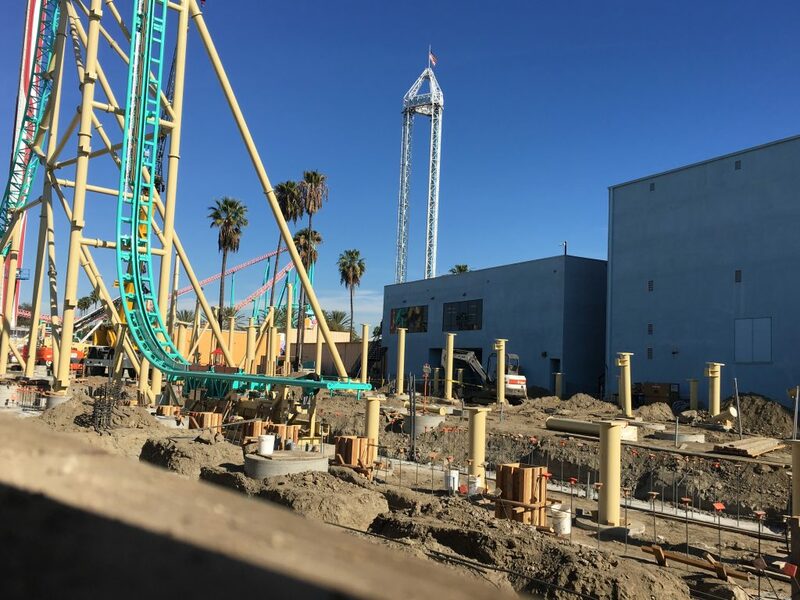 Thank you for checking out this new HangTime/Knott’s Berry Farm Update! Thanks to Brian with assisting with the pictures! 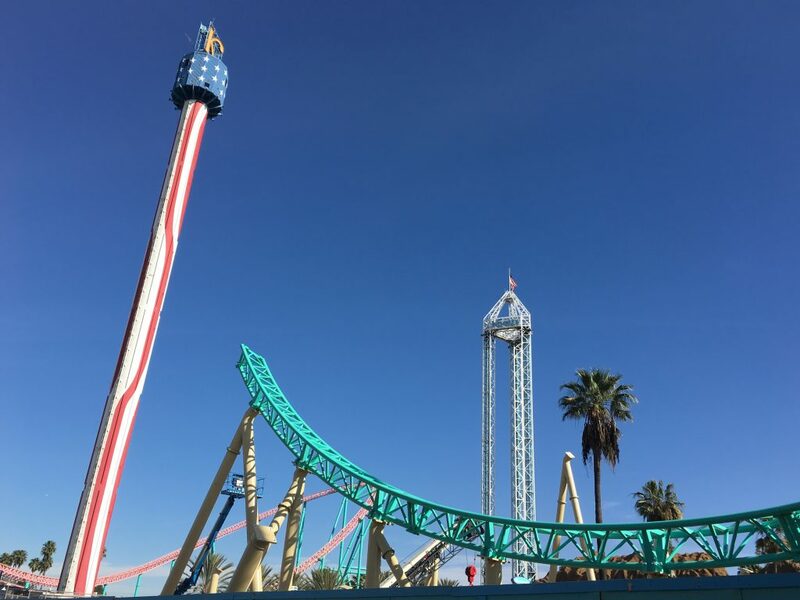 We’ll be back in the near future with plenty more HangTime, as well as last night’s Holiday in the Park and today’s Knott’s Merry Farm coverage! 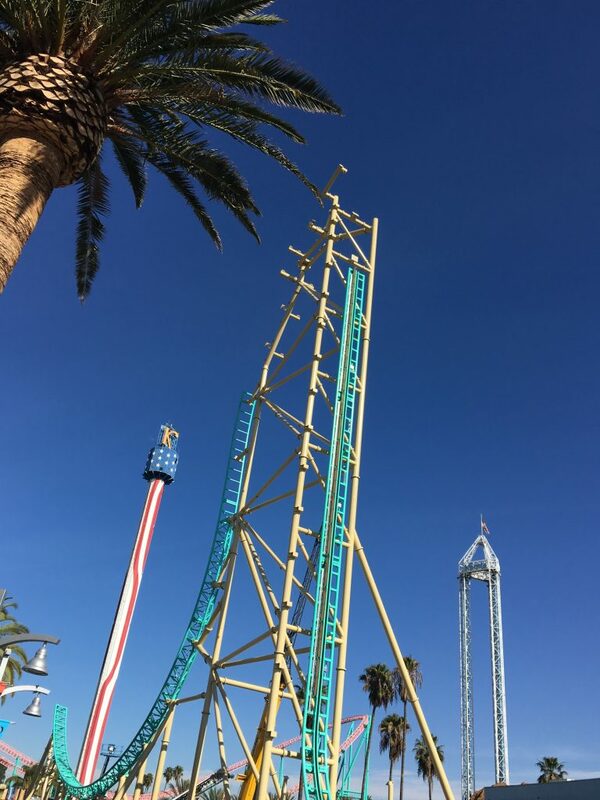 For now check out our HangTime Update from earlier this week as well as our new Six Flags St. Louis Trip Report! 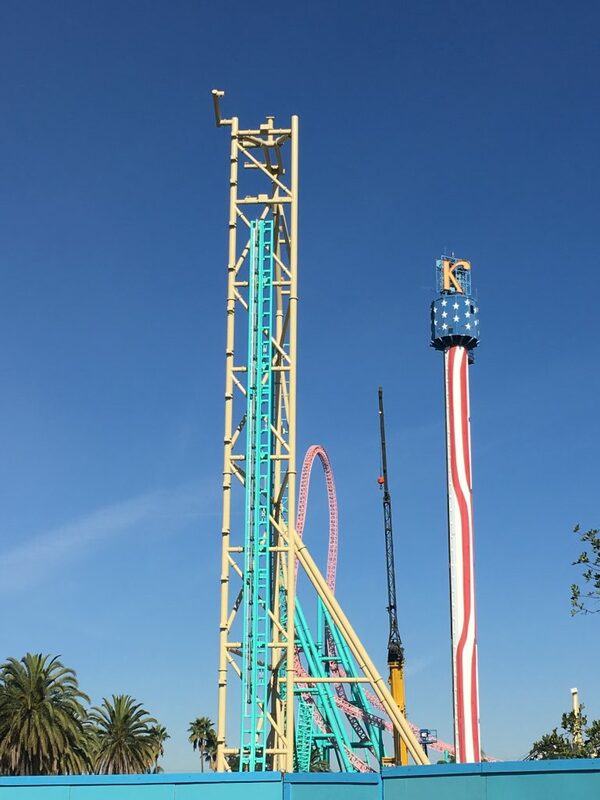 Looks like a smaller version of Kingda La over her at Six Flags Great Adventure here in NJ! SO EXCITED!